You can read a sample chapter or purchase Growing Up With Pigs here. 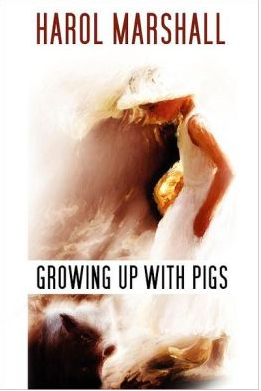 Growing Up With Pigs is a collection of twenty-two humorous and heart-warming stories about growing up in the 1950s that includes a vivid portrait of life on a small family farm. From dinner table conversation to farm chores, to babysitting and more, the antics of members of this quirky family will bring tears to your eyes. I loved GROWING UP WITH PIGS. It was hilarious and cute, sweet; one of the best humorous books that I have read in a long time. I loved GROWING UP WITH PIGS. It�s hilarious sweet fun, and warm. One of the best humorous books I have ever read. Going out to buy another copy for a friend who lives on a farm. She will love it too. This is a great group of short stories written in a delightful style. Takes you back to childhood with perhaps a few surprises about this young girl. A glimpse into the life of a rather eccentric family or perhaps makes you realize every family is a bit eccentric. Easy to identify if you are a child of the 40's and 50's...an education for younger readers. Suitable for young teens. A great read! This wonderful book of short stories is fun and brings laughter to the reader. I would recommend this book to anyone looking for a great story to read.